Reserva Privada by DNA Genetics are the Premium genetics from this dutch seedbank. Taking exclusive marijuana strains and preparing limited amounts of seeds make these very rare and unique genetics indeed. Some of the cannabis strains here, both female and regular, are available in very limited numbers, so ensure you buy them when they are available as they go FAST. 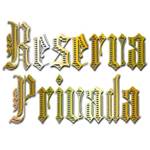 Reserva Privada is a West Coast collective of breeders who until now had no place to showcase their creations. These breeders are all protected by medicinal laws within their states but still wanted to remain nameless. With the roots of DNA Genetics being in the West Coast, they came together to help bring the world these special strains under the name RESERVE PRIVADA.